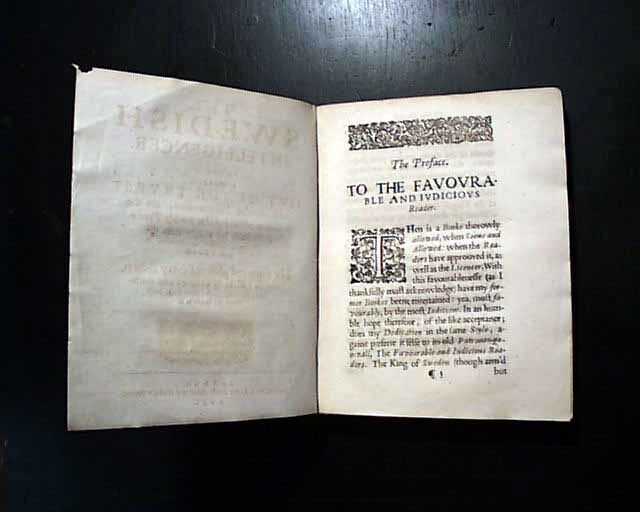 THE SWEDISH INTELLIGENCER, "The Second Part", London, 1632 A quite rare newsbook by the famed publishing team of Nathaniel Butter and Nicholas Bourne who are credited with being the founders of the English language periodical format, taken from like-publishers in Germany & Amsterdam. 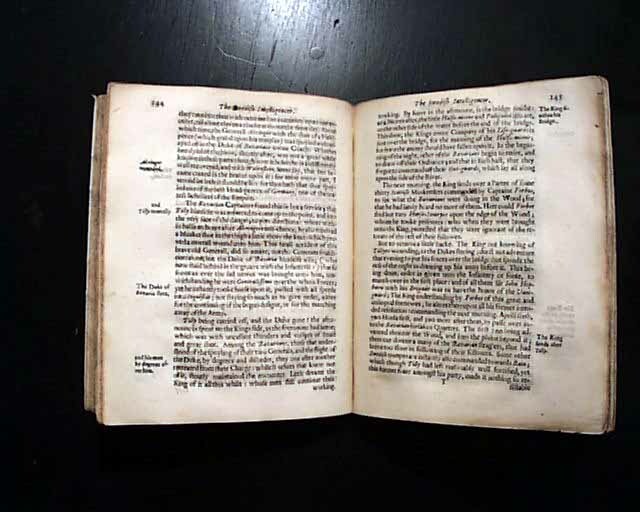 Curiously some of the first English language periodicals were printed in Amsterdam. This title, item #847 in Crane & Kaye's "Census Of Newspapers 1620-1800", is among the earliest printed in England, 1621 being credited as the earliest. The full text of this 240+ page issue can be seen in this website. 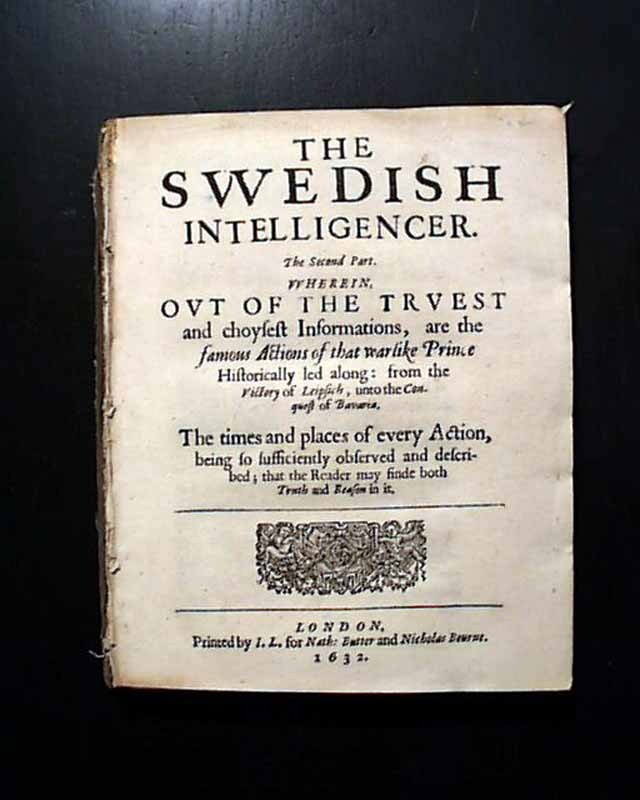 Records show there were six different issues of "The Swedish Intelligencer" printed from 1632 to 1635. 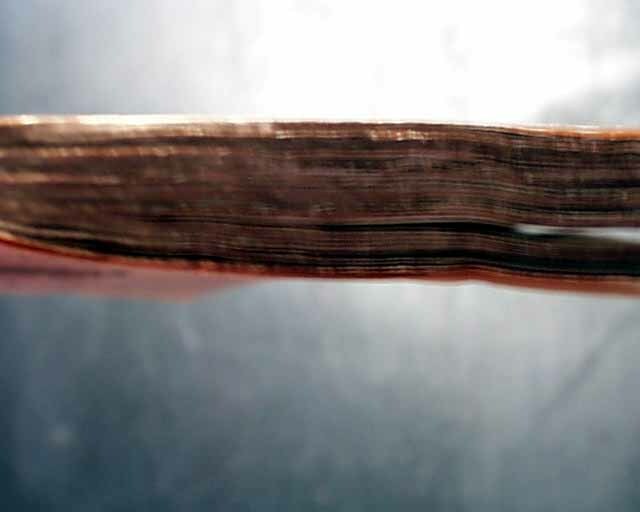 This is the "second part", or issue number 2 of 6. The content of this thick, almost book-like issue is mentioned in the title page: "...Wherein, Out of the Truest and Choysest Informations, are the Famous Actions of that warlike Prince, Historically led along: from the Victory of Leipsich, unto the Conquest of Bavaria. The times and places of every Action, being so sufficiently observed and described, that the Reader may finde both Truth and Reason in it." Full title page with the imprint: "Printed by I.L. for Nath: Butter and Nicholas Bourne, table of contents at the back, 240+ pages, 5 3.4 by 7 1/4 inches, disbound, great condition. An opportunity for an exceedingly rare, English-language newsbook, likely the earliest to be found on the market.